Dr. Donnelly is excited to announce that San Marcos Gentle Dental recently joined the Wimberley Chamber of Commerce! The office has truly enjoyed the opportunity to meet more of our Hill Country neighbors in Wimberley. We are all looking forward to participating more in your beautiful community and providing you with exemplary dental care. 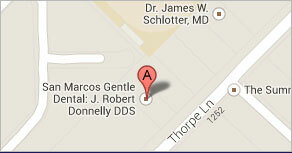 Everyone at San Marcos Gentle Dental is always happy to meet new patients and welcome referrals to our office. It is the highest compliment to us when you believe in our services enough to recommend your friends and family for their dental needs. If your anxious about your dental appointments you’re not alone. According to the Academy of General Dentistry, 25 million Americans do not visit their dentist simply because they’re afraid. Studies also have shown women are more likely than men to experience dental anxiety. We want to help you to feel comfortable in the dental chair. There are a few things you can do to reduce stress. Schedule an appointment for a time you’re more likely to be relaxed. For example, first thing in the morning might be better than in the middle of a busy day. Eat high protein foods before your appointment to help calm you down. Don’t have caffeine or sugar right before your appointment, as they increase your heart rate. Bring something that will be soothing for you or your child, such as an iPod to listen to music or a stuffed animal for a child. We want to create an atmosphere of trust, so please don’t hesitate to tell us what makes you nervous. Understanding the source of your anxiety may make it easier to find a solution to help you relax. Dr. Donnelly also offers sedation dentistry and nitrous oxide which can help even the most apprehensive patient relax through their appointment with ease. Modern dental techniques have come a long way to help ensure you’re comfortable and that procedures are relatively pain-free. We offer refreshments, blankets, and headphone music to enjoy for all our patients. 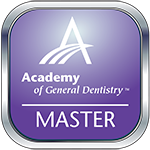 Call San Marcos Gentle Dental today to schedule your appointment by calling (512)396-5225. Voted Best Dentist in Hays County 2012! Se Habla Español.